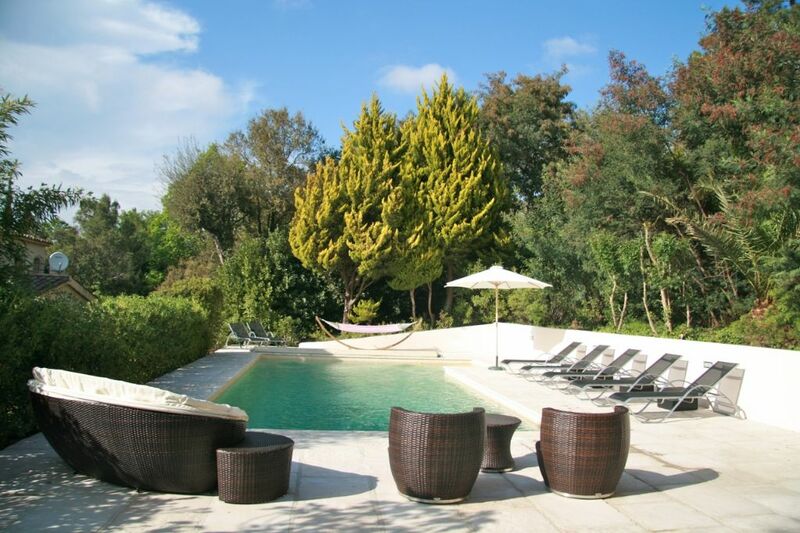 Fabulous heated pool with beautiful stone terrace and outside entertaining area. Heated swimming pool with new pool house and floodlit stone terrace. 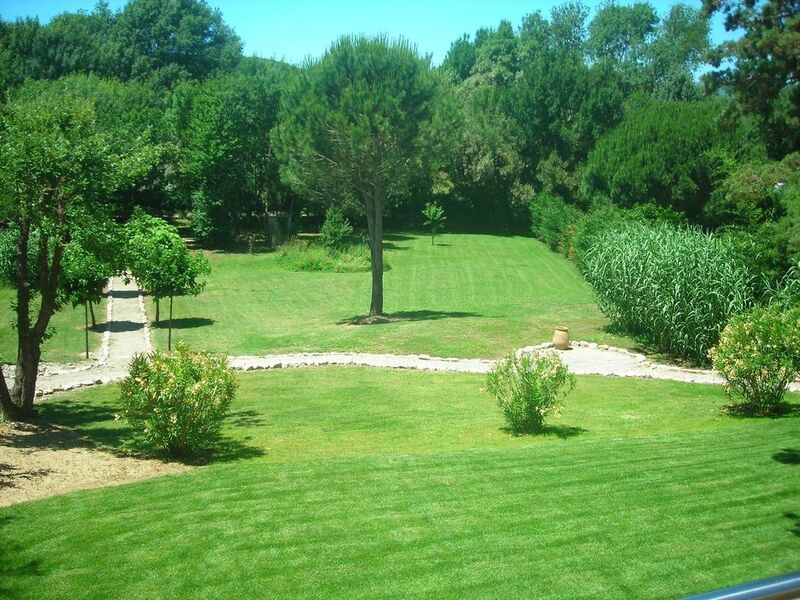 Views from the upper garden over the beautiful surrounding countryside. Dining area with French windows leading to the upper fenced terrace. Well equipped kitchen with Nespresso machine, dishwasher and SMEG range. Utility Room / Kitchenette situated between the L/G Floor bedrooms. Double bedroom (first floor) showing the stunning views and the morning sunlight. 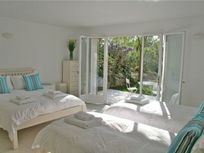 Double bedroom (first floor) showing the stunning views and the evening sunlight. 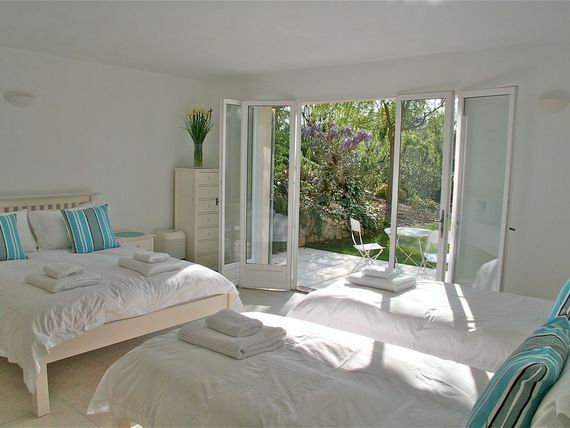 G/F King size Bedroom with private terrace, seating and views over the gardens. Double bedroom (Lower floor) with private terrace, seating and views over the gardens. Family Room (1 king-sized bed and 2 single beds). (Lower floor) Bistro table and terrace. Alfresco dining with the evening sunset on the covered terrace. 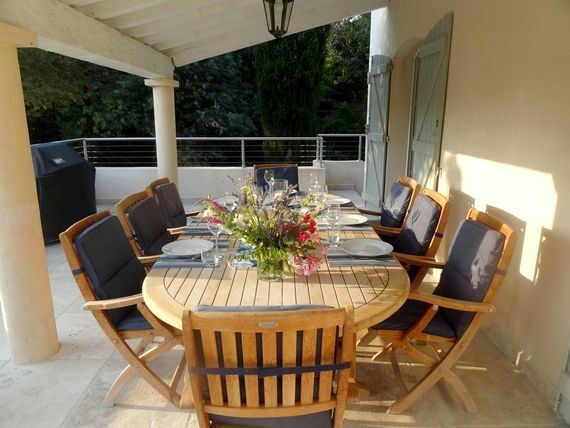 Villa La Prairie and the covered upper terrace with alfresco dining and BBQ. 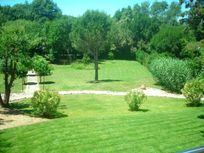 Views over the extensive parkland gardens with a petanque area under the trees. 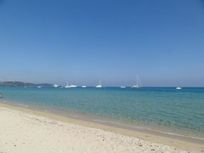 Pampelonne Plage and beach clubs (25 Minutes) via the back roads from the Villa. St. Tropez and the fabulous yachts, restaurants, shops and bars (20 Minutes). From Beyonce and Jay-Z to Brad and Angelina, St Tropez still pulls in the hottest A-listers to take time out in the Cote d’Azur sunshine and families can share a slice of the glamorous celebrity lifestyle at this stunning five-bedroom hideaway. 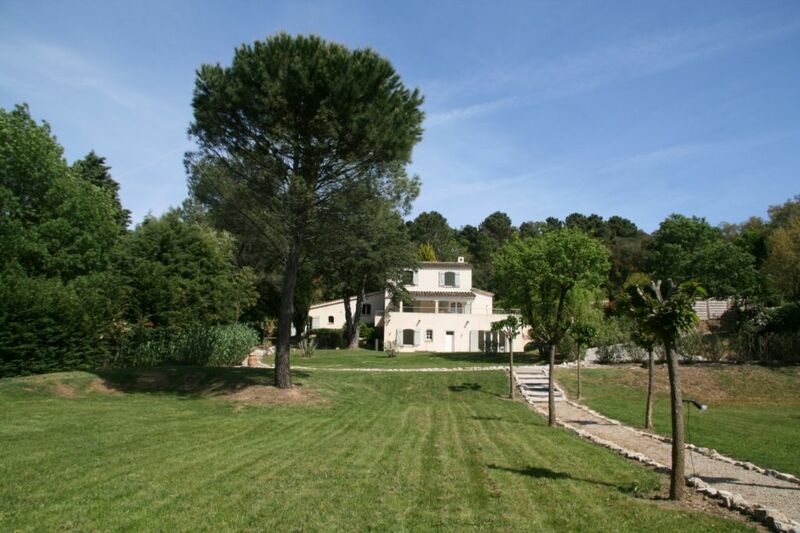 Villa La Prairie is only 15-20 minutes from St Tropez, yet in a peaceful and private countryside setting, surrounded by trees and vineyards, in the scenic La Mole Valley. Sweeping through electric gates to this imposing villa, parents can leave the stresses of the daily grind behind and utterly unwind. Days can be spent, shimmying between the cool, contemporary interior, the fab pool and the large, enclosed parkland gardens. 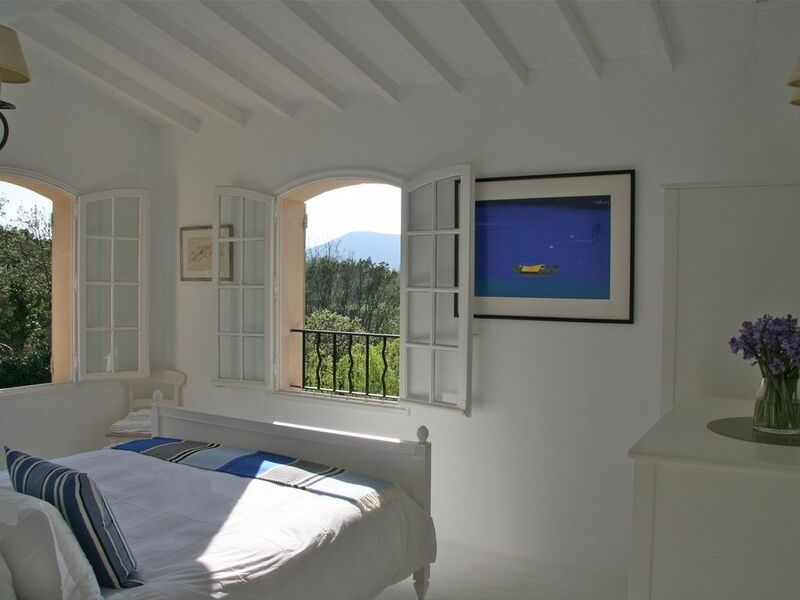 The Villa has been designed over three floors to provide plenty of space and to make the most of the panoramic views. The layout works well for up to 12 guests and is perfect for family and friends with tots to teens in tow. One of the five bedrooms is situated on the ground floor, this is perfect for either Grandparents or a nanny or for tucking up baby into a travel cot, whilst parents enjoy evenings on the alfresco dining terrace, or relax close by on the private terrace outside the bedroom. Two more bedrooms are situated on the lower level, opening onto the garden, which makes the inevitable to-ing and fro-ing for parents with toddlers a little less frustrating. This layout also allows parents to be on the same floor as their children as the large family room, which sleeps four, is perfect for children and teenagers. A utility room which opens out onto the terrace also comes in handy, with a fridge to keep drinks cool, a kettle for making up baby milk and a mini grill to enjoy early morning croissants. The owners have completely renovated Villa La Prairie with the minimalist sophistication of fresh white decor, furnishings and fittings throughout, creating a light and airy ambience. The large white and chrome kitchen is very well equipped for hosting and entertaining, whilst the living room has all the latest entertainment gadgetry and a log burning stove for cosy evenings playing Jenga, Monopoly or one of the other family board games. Children also have a dolls house to play with, books to read and a large toy box is full of building bricks, puzzles, drawing materials and a shop set. The enclosed garden at Villa La Prairie is like a lovely private park where children can safely play on grassy lawns, or play hide and seek amongst the trees. Children can also challenge grown-ups to games of croquet, badminton, swing ball, football and petanque. A swing, slide, paddling pool and chairs for children are provided for use by the pool or for having fun in the garden. 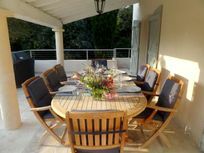 The large terrace on the garden level is furnished with a bistro table and chairs, making it an ideal setting for a quiet escape. 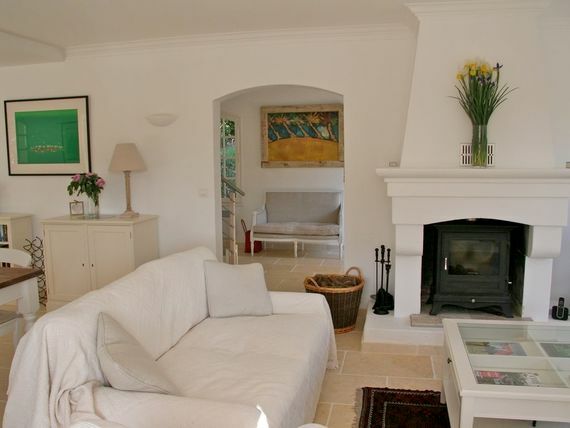 French windows on the ground floor open out from the dining room and sitting room onto a covered terrace, which has a large table with seating for 12 and a gas BBQ. (The perfect place to relax and enjoy a glass of rose whilst the sun goes down). Naturally, the focal point of the garden is the heated, alarmed swimming pool and pool terrace, where rattan sofas, a hammock, sun loungers and a big, comfy day bed, with built in sun shade, lure families to laze the days away. In one corner of the pool terrace, a stone pool house provides somewhere cool and shaded to escape the midday rays and when evening falls, the garden and terraces are beautifully floodlit for wining and dining under the stars. 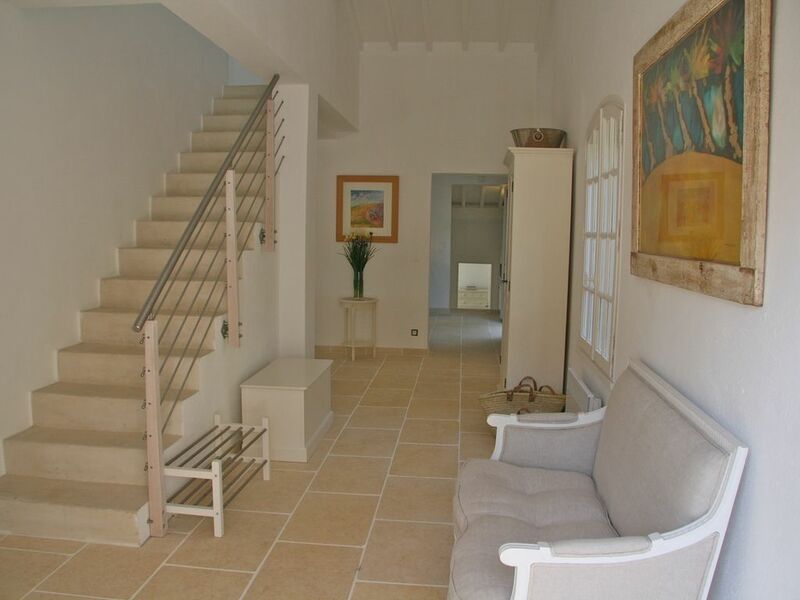 Villa La Prairie has five bedrooms and is set out over three levels to offer plenty of space and privacy for two or three families of up to 12 people. One 'John Lewis' travel cot is provided, complete with mattress and sheets plus an additional toddler can snuggle up in a blow up ‘Ready Bed’. On the ground floor: The modern kitchen has all new appliances and includes: a large range cooker: American fridge freezer with ice-maker, 'Nespresso' machine, dishwasher and microwave. The large, light living / dining room is furnished with comfortable sofas and features a newly fitted ‘Chesney’s’ log burning stove, TV with UK channels, DVD player, iPod dock and Wi Fi. The dining table seats eight and a 'Stokke' high chair and ‘Night Garden’ booster seat is provided. 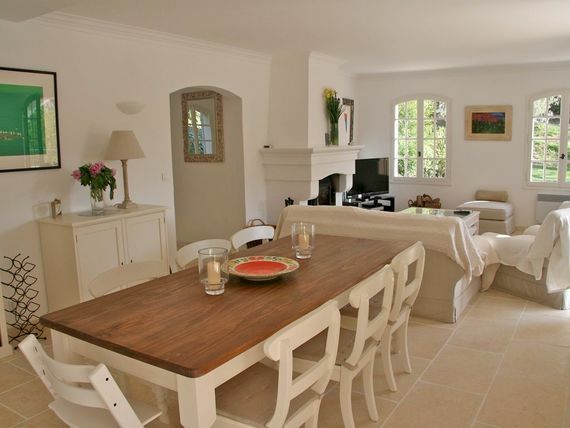 From the living / dining area, French doors open out to a large covered dining terrace overlooking the garden. 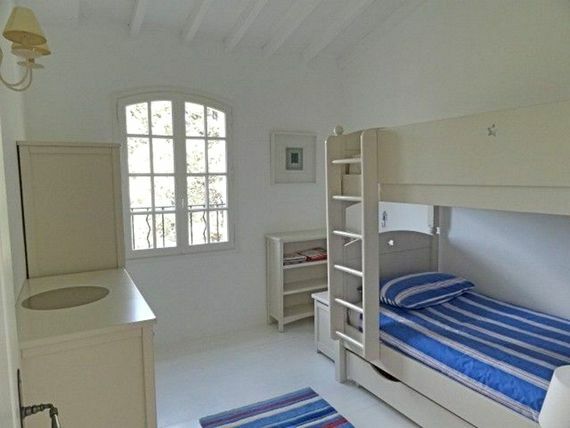 One bedroom on the ground floor has a French king size sleigh bed, and an en-suite shower room with a WC. 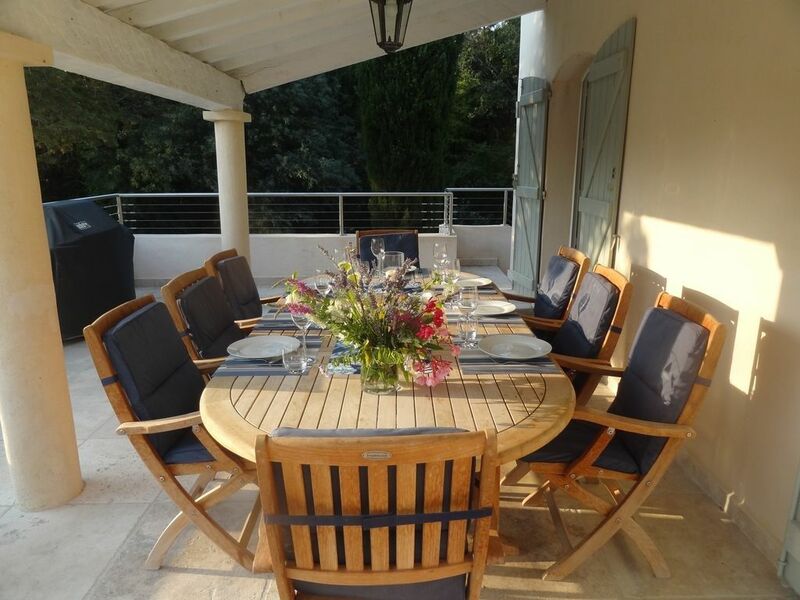 The French windows lead to a private terrace overlooking the garden with a bistro table and chairs. On the first floor: One double bedroom has a super king size bed and one bedroom has two adult sized bunk beds. The upper bunk has a built in safety rail and a detachable safety rail can be provided for the bottom bunk. The family bathroom has a bath, shower, wash basin, WC and large cupboard containing equipment for babies and children. 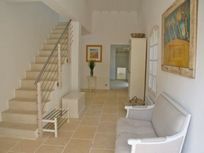 The villa managers can prepare everything in advance to make life easier for parents upon arrival at Villa La Prairie. 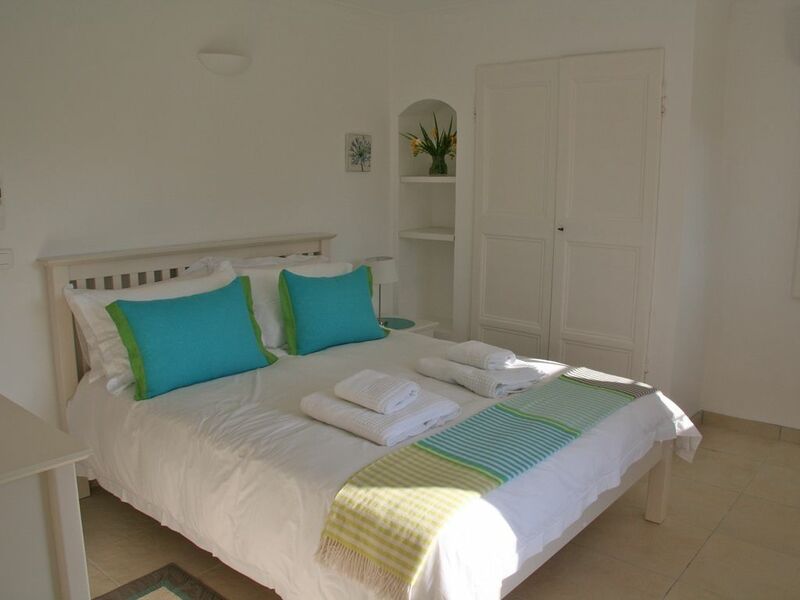 On the lower ground floor, which opens to the garden: One double bedroom has a king size bed and an en-suite with a shower, wash basin and WC. 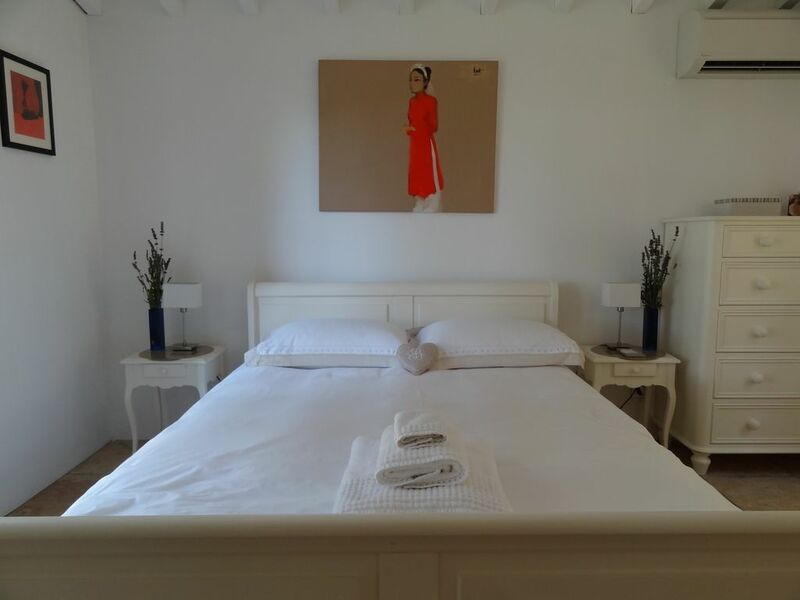 A family bedroom has a king size bed, two full sized single beds and en-suite with a bath, shower, wash basin and WC. Both these bedrooms have their own private terrace and seating overlooking the garden beyond. 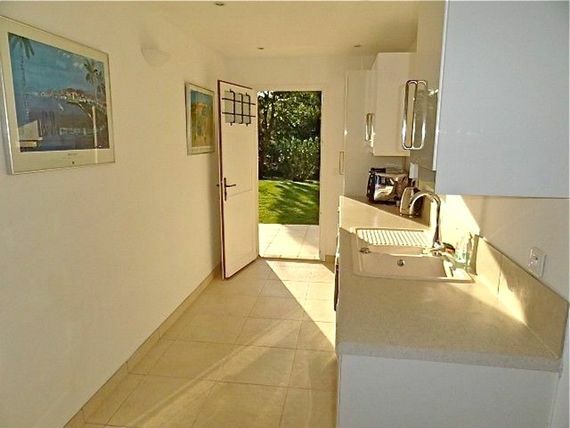 A utility room on this floor has a sink, washing machine, tumble drier, fridge, kettle and mini grill. 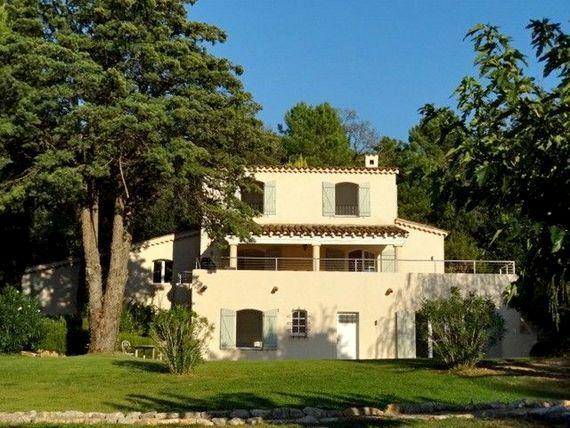 Villa La Prairie is in a prime location on the Cote d’Azur, combining a peaceful, countryside setting with the thrill of having glamorous resorts and celeb-strewn beaches, less than half an hour away. The villa is surrounded by vineyards and farmland in the tiny hamlet of La Gavotte. The traditional old French town of Cogolin is only 2kms away, which has everything families really need, including a weekly market, bakeries, local shops, restaurants, cafes, bars and a hypermarket. 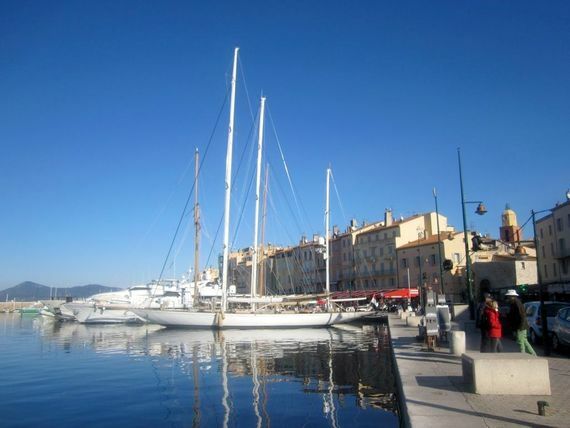 The world famous resort of St Tropez is 20 minutes drive away, where millionaire’s yachts glint in the sunshine, fabulous restaurants line the quays and celebrities can be spotted, stepping out of Ferraris to browse the designer boutiques. 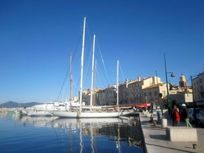 Ste Maxime can also be accessed from St Tropez by hopping on a ferry to miss the busy summer traffic. 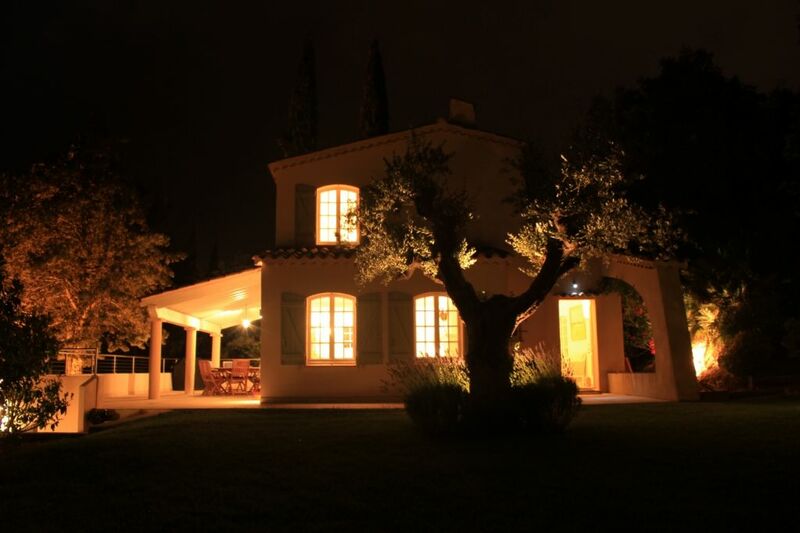 Also around 20 minutes from Villa La Prairie is the stunning hilltop village and castle of Grimaud, the ideal place for an evening stroll or to dine at one of the local restaurants. 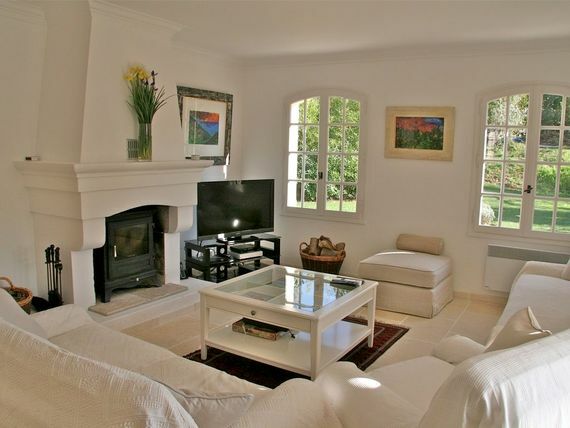 The man-made mini Venice of Port Grimaud with a network of canals, crisscrossed with little bridges and lined with restaurants and boutiques is also a short drive away. Since a scantily clad Brigitte Bardot put the St Tropez beaches on the map in the 1950’s, Hollywood stars are still regularly 'snapped' on Pampelonne and in the exclusive Beach Clubs. 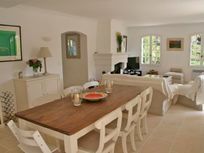 From the villa, Pampelonne Beach can be reached in 25 minutes by using the back roads from the villa, which enable guests to miss the summer traffic around St Tropez during the Peak season. This scenic route passes through the beautiful hilltop villages of Gassin and Ramatuelle. Other alternatives for enjoying a day by the sea include Pearl Beach, Hercules and Gigaro Plage, which can also be easily accessed from Villa La Prairie. For a day of family fun in the summer months, Luna Park near St Tropez has rides, roller coasters, and other attractions for all ages, or follow the Corniche road to Frejus Plage and spend the day at the Aqualand water park. The owners have compiled a comprehensive Villa Welcome Pack to help guests make the most of their stay and this is sent to families prior to their holiday so that making plans or booking beach clubs and restaurants can be done in advance. Getting here: Many airlines fly from the UK to Nice airport, which is 75 minutes drive. The villa can also be accessed from Toulon Hyeres airport, which is also just over an hour away by car. We Nick and Fran and are from the U.K., we have a ten year old daughter and have both travelled extensively having had the privilege of staying in some amazing places but the South of France and the St. Tropez area is the place we love coming to more than anywhere else. The minute we arrive at Villa La Prairie we feel relaxed and at home. 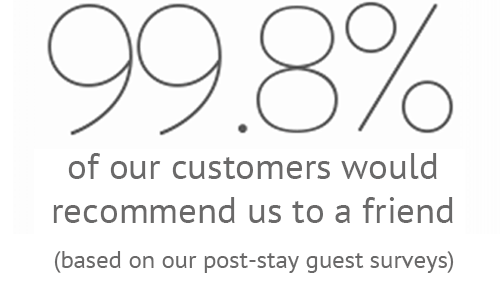 We hope that this will be how our guests come to feel about their stay. Villa La Prairie offers the perfect combination for a luxury holiday destination. 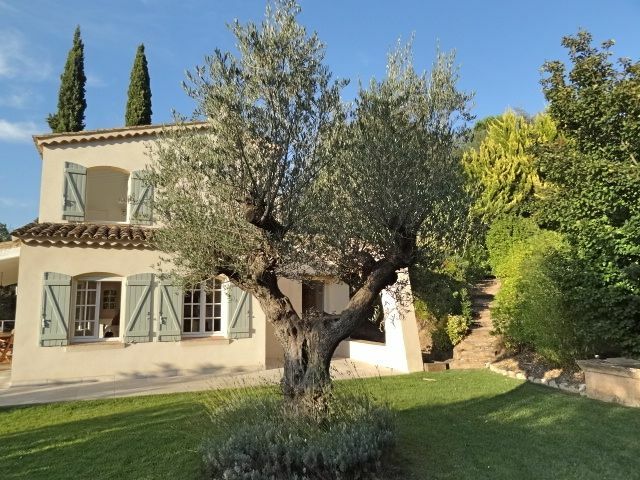 It is unique in the sense that it is rurally situated in tranquil vineyards, but only 15 to 20 minutes' drive to the most popular destinations in the St. Tropez area, and positioned so as to avoid peak season traffic. It also offers guests opportunities to enjoy the experience of a traditional French town, which functions all year round. We particularly enjoy the area in the spring and late summer, and every time we visit there is more to explore. 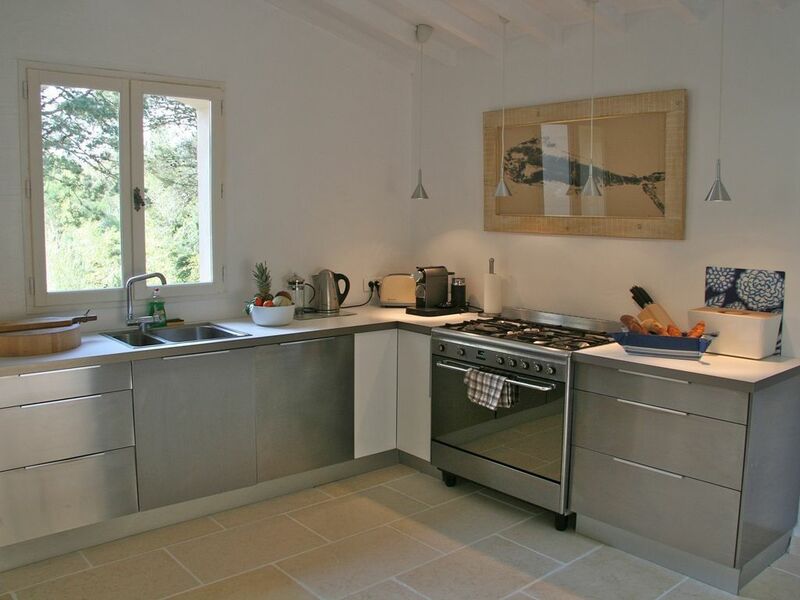 Villa La Prairie has the layout, space and design that really works for groups of families and friends and this was important to us when buying our French home. The pool, gardens and views are restorative and we felt this as soon as we visited the Villa. 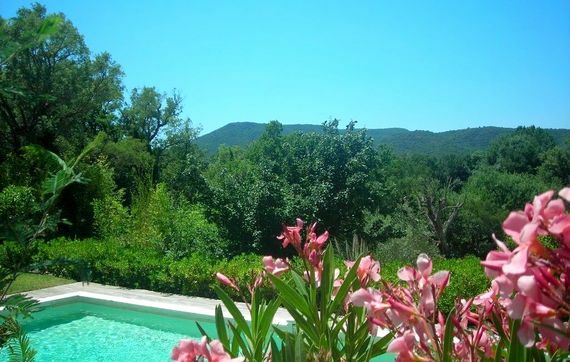 We knew from the experience of being holiday makers in the St. Tropez area ourselves which beaches, villages and facilities it would be important to be near, but we also wanted to be able to access key routes to destinations easily without being caught in the summer traffic. The geographical position of Villa La Prairie managed to meet all of those criteria. Sunshine, space, swimming pool, beaches nearby, plenty of things to do - what's not to love for all ages! Sleeps 12 including infant in 1 x super king room, 2 x king size bedrooms, 1 x family room with a king size bed and 2 x twin beds, and 1 x bunk room. Toulon-Hyères airport is 50 minutes drive or Nice Airport is 75 minutes drive. Toulon is just over an hour away. 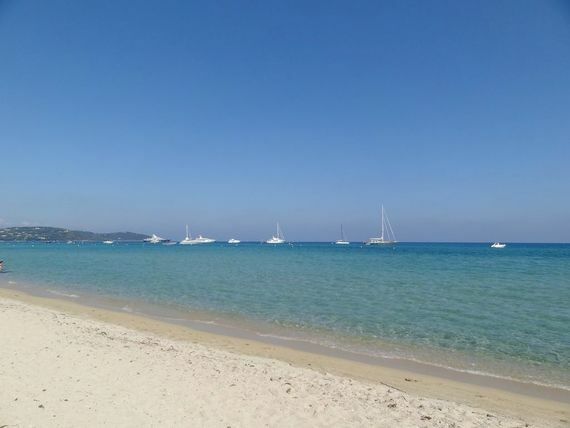 There are lovely beaches a short drive away and St Tropez is just 25 minutes drive. The villa has a lovely large, heated, swimming pool with alarm and pool house and sun loungers and outside seating area. Pool is a safe distance from the villa on a lower garden level. Private chef service is available on request. Babysitting can be arranged with the house managers. 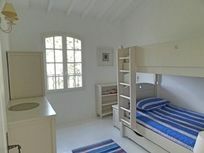 This baby-friendly villa offers a range of nursery gear including: a good standard travel cot with mattress and sheets; a 'Ready Bed' (a blow up bed for toddlers); safety bed rail for bottom bunk bed, (upper bunk already has wooden safety rail); 'Stokke' high chair; 'Phil and Ted's' travel seat for attaching to stable outside wooden tables; stair gates; 'In the Night Garden' travel booster seat; changing mat; bath mat (x2); training loo seat; potty; step for the loo; step for the sink; swimming nappies; nappy sacks; nappies and bed protectors; a set of plastic tableware and cutlery and plastic cups. This child-friendly villa provides a large toy box including: puzzles, bricks, tea set, shop play equipment, drawing pencils and paper. There is also a dolls house, doll, pushchair, U-rated DVDs, appropriate books and bath toys. Pre-arrival shopping and catering can be arranged on request. Outdoor toys provided at this child-friendly villa include: beach toys including buckets and spades; water play and pool toys; croquet, badminton, swing-ball and football equipment; wooden swing, paddling pool, outdoor chairs for children and a slide suitable for children up to eight years old. 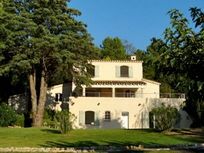 The villa has beautifully landscaped and enclosed gardens with three terraces and pétanque court, BBQ and plenty of outside seating areas. A midweek clean is included in the weekly rental price and additional cleaning can be pre-arranged. Lovely property in a fabulous location. Communication with owners was great, and the welcome pack provided was comprehensive. No issues getting deposit back. Lovely touch when the lady that looks after the villa bought buckets and spades for our 3 little ones. Very sweet.